The so-called “Jordanian” lands Abdullah II wants “back” are, at the very least, questionable, and he also forgot that Israel saved his kingdom back in 1970, when Arafat tried to stage a coup. So King Abdullah II of Jordan has decided to downgrade the peace treaty with Israel. Israel had been using the areas for agricultural purposes. 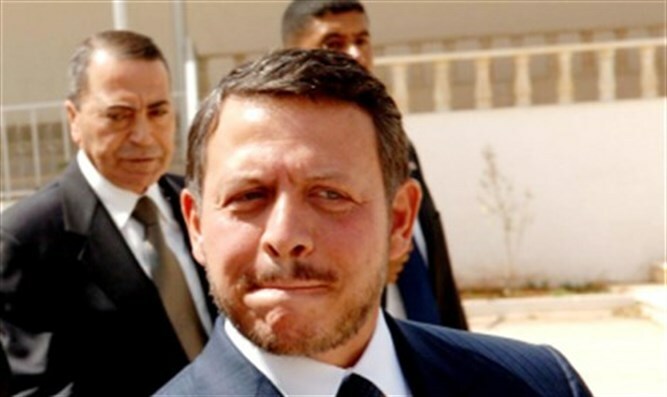 Israeli media explained the move by saying that "Abdullah is in a vice [sic]". While he needs the peace treaty with Israel for the security of his regime, he has domestic Islamic elements to deal with and at times placate. He is also dealing with the Syrian crisis, which has not only inundated his country with refugees, but also put Iran perilously close. The language Abdullah used in announcing the move--Jordanian land, Jordanian interests--is a bone thrown to the Islamists." In reality, I doubt that Islamists care much about the “Jordanian” aspect of this issue. All of this brought back memories, still lingering issues, and often deliberate misinformation dished out about the Hashemite Kingdom of Jordan and its origins. Dr. Aaron Klieman's book, Foundations of British Policy In The Arab World: The Cairo Conference of 1921 (Johns Hopkins Press, 1970), should be "must reading" for those who truly want to make sense out of the conflict between Arab and Jew in the Middle East. It's one of those references that other reasonably objective scholars used to cite in their own works. Nowadays, however, with much of this field having been hijacked by a blatantly anti-American and anti-Israel fraternity (MESA, in particular), things have changed drastically. 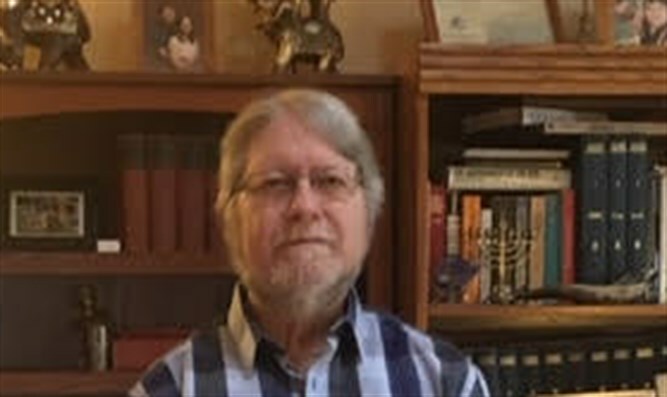 The chief tenured professor who taught this subject at Ohio State, for instance, in the ‘70s and ‘80s managed to teach an entire graduate course (I know, I was there) on the Palestine Mandate period after World War I without ever bothering to mention either Klieman's book or the facts which you'll read below. That was almost four decades ago, and woe unto thee if you dared bring such things up. Things have gotten even worse today. And such omissions were/are no accident. The mainstream media and others have also joined academia in this distortion of historical fact. The Daytona Beach News-Journal (my local Florida paper) ran a story, way back on February 25, 2004, which was headlined as follows: "Jordan Joins Chorus Against Israeli Wall." Prince Zeid al Hussein complained that the barrier might send Palestinian Arabs fleeing into his own kingdom. He also justified suicide/homicide bombings by blaming them on the four decades' old Israeli occupation. No mention about how those lands became "occupied," nor why. Indeed, the Hashemites--whether back in 2004, regarding Israel’s security barrier designed to keep suicide/homicide bombers from targeting its innocents, or now, in 2018, with the Peace Treaty issue--would do themselves a favor by abandoning the brazen nerve (chutzpah) required in addressing such issues to anyone with knowledge of the actual history involved. Since many people don’t possess this, they feel free to lie through their teeth. It’s called taqiyya, permissible distortion of the truth--especially where “Infidels” are involved--as when Egypt’s President Nasser and Jordan’s King Hussein were recorded on tape scheming how they would blame their massive defeat in the June ’67 War on American aircraft, not Israel’s. In 1922, Colonial Secretary Churchill, to reward Arab allies in World War I (remember the movie, Lawrence of Arabia? ), chopped off roughly 80% of the original Palestine Mandate issued to Great Britain on April 25, 1920--all the land east of the Jordan River--and created the purely Arab "Emirate of Transjordan"--today's Jordan. This was engineered by Churchill a year earlier at the Cairo Conference. "In due course the remarkable discovery was made that the clauses of the mandate relating to the establishment of a National Home for the Jews had never been intended to apply to the mandated territory east of the river (A Crackle of Thorns, page 27)." In other words, the so-called “Jordanian” lands Abdullah II wants “back” are, at the very least, questionable. Historically speaking, Arab nationalism was awarded the bulk of the original 1920 Palestine Mandate. While it, too, officially remained tied to the whole of the Mandate until 1946, what would later be renamed Jordan, nonetheless, became a virtually separate entity. From 1922 on, after already receiving most of the territory--Arabs would next point to what remained of "Palestine" (the area west of the River) to make further claims. And the Arab state in Palestine, Jordan, soon made itself totally Judenrein. Please note that at the same time the above events were happening, Churchill saw to it that another Hashemite prince, Emir Feisal, recently booted out of Syria by the French, would take sole charge, in the name of Arab nationalism, of the larger Mandate of Mesopotamia as a consolation prize. In collusion with British petroleum politics, the Kurds would thus see their own promises, made to them by the Brits for independence, nipped in the bud. Arab Iraq--with no partition plans for millions of Kurds in their majority oil-rich north--would soon emerge. As for Palestine, Arabs answer this by citing geographical and other differences between some Arabs and others. Using this same logic, since there are Jews in Israel from over a hundred different countries (including one half who are from refugee families from so-called "Arab"/Muslim lands, and some whose families never left Israel since the days of the Roman conquest two millennia ago), then Jews are therefore entitled to multiple states as well. Arabs have almost two dozen to date. Less than a half million Arabs were entitled to Kuwait. Using the Arabs' own "unique" refugee-counting system (which President Trump’s team has wisely decided to abandon), over four million Jewish refugees from “Arab”/Muslim lands could then stake a claim to parts of Morocco, Iraq, Algeria, etc. Yemen even had a series of Jewish kings just before the age of Muhammad, and, while we’re at it, the second holiest city in Islam, Medina, started out as a date palm oasis founded by Jews fleeing the Roman wars in Judea. The latter gave Muhammad refuge during his flight (hijra) from enemies in Mecca, and when they refused to recognize him as the new king of the hill and “Seal of the Prophets,” he thanked them by decapitating the males and enslaving the women and children. Arab and pro-Arab academics typically ignore all of this when teaching such topics. On the Palestine issue, the main starting dates for them are not 1920 and 1922, but 1947...the proposed partition of "Palestine." They omit telling their students that this was the second partition of the land (which the Arabs rejected anyway) and pretend that Jordan was always a separate state with no connection to Palestine. And the indoctrinated student sponges take it all in and join groups like Students for Justice in Palestine in protesting those nasty Zionists whose sole, minuscule, resurrected nation requires a magnifying glass to locate on a world globe. The Jordan-Palestine connection is just one of many well-documented facts (not "Zionist propaganda") little known by much of the rest of the world. Arabs typically claim Jews got 78% of all of the land (this after Arab Transjordan received almost 80% in 1922), and leading newspapers typically prepare segments on the Middle East ignoring this crucial Jordan-Palestine connection as well, starting the discussion with 1947. While debate now revolves around a "two state" or even a "one state" solution to the conflict, the reality is that Jordan is historically and demographically Palestinian. And regarding that latter designation, “Palestine” is another of those issues conveniently not elaborated upon by the expert practitioners of the typical Middle Eastern Studies classroom double standard. To end Judaea’s quest for freedom and independence once and for all, after the Jews’ second major (“Bar Kochba”) revolt against Rome in 133-135 C.E., the emperor, Hadrian, poured salt onto the wounds deliberately renaming Judaea after the Jews’ historic enemies, the non-Semitic (let alone non-Arab) “Sea People”--the Philistines from the Greek islands around Crete. It was Israel which saved the Hashemites' prior to, but especially in, 1970 when Arafat's PLO decided to cash in on a third alternative - a takeover. Without Israel’s mobilizing on the border (and other actions as well), the Syrian-backed PLO attempt to overthrow King Hussein would likely have been a done deal. During that episode, Hashemite Arabs killed about fifteen thousand of Arafat's other Arab compadres--in "Black September" alone. Palestinian Arabs "fleeing into Jordan," a la Prince Zeid's 2004 remarks would, in reality, be moving simply to just another part of Palestine, as most did when they fled the fighting Arabs started upon Israel's rebirth in 1948. When Egypt's Nasser decided it was once again time to drive the Jews into the sea in 1967, he contacted Jordan's King Hussein and convinced him to join in the planned massacre. Israel, through the United Nations, begged the young Hussein to distance himself from Nasser's plans. The King didn't listen and launched an attack on the Jewish half of Jerusalem instead. The rest, as they say, is history. And that's how Jordan “lost” the 'West Bank'--which it seized illegally in the 1948 fighting--in the first place. Transjordan--led by Sir John Bagot Glubb and his British officers--joined other Arab countries in attacking a reborn Israel, trying to nip it in the bud. Jews lived and owned property in those "occupied territories" until their slaughter by Arabs in the 1920s and 1930s. Judea (as in JEW) and Samaria, only since the 20th century known as the "West Bank" (via British imperialism and Transjordan's later annexation), were non-apportioned parts of the original 1920 Mandate with thousands of years of documented Jewish history; and leading authorities such as Eugene Rostow, William O'Brien, and others have stressed that these areas were open to settlement by Jew, Arab, and other residents of the Mandate alike. The Minutes of the League of Nations Permanent Mandates Commission documented scores of thousands entering into Palestine from Syria alone in just several months’ time. Hamas' "patron saint," Sheikh Izzedine al-Qassam (for whom the rockets and terror brigade are named), was from Latakia. It's estimated that many more Arabs entered the Mandate, to take advantage of the economic development going on because of the Jews, under cover of darkness and were never recorded...more Arab settlers setting up more Arab settlements in Palestine. Why are these "legal" and those of the Jews not? Scores of thousands of Jews in Syria soon became refugees fleeing that country. Greater New York City alone now has tens of thousands of descendants, with some of the most beautiful synagogues I’ve ever seen. Peace between Israel and its immediate Arab neighbor to the east is obviously a worthy goal. But the world must stop accepting the Hashemites’ assertion that Jordan is not part of the balance sheet when the of rights of both Arabs and Jews in the region are being discussed.